An expert in clinical education from Plymouth University Peninsula Schools of Medicine and Dentistry (PUPSMD), has been awarded the President’s Medal of the Academy of Medical Educators for his outstanding contribution to the training of doctors. He was presented with the award at a ceremony hosted by the Academy of Medical Educators at The Royal College of Obstetricians and Gynaecologists in London. Nick qualified as a doctor in London in 1976. He moved to the South West in 1980 to train as a GP, and became a GP trainer in 1987. 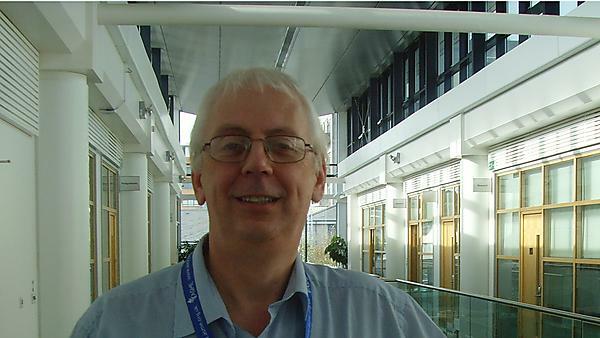 He lectured in primary care and general practice at Plymouth University in the 1990s and played a key role in establishing the Peninsula Medical School from its inception in 2001. In 2010 he spent some time at Harvard Medical School and was appointed by Plymouth as an Associate Professor in Clinical Education in 2011. He was one of the first Fellows of the Academy of Medical Educators and was elected to its Council in 2013 – he currently serves as lead for assessment and as Chair of the Membership Committee.